Hey guys! I'm back with more updates on Back-To-School-Saturday. So, today I am going to get you in the know on all the AMAZING sales and deals you can take advantage of on BTSS. There are so many stores taking part in this perfect day so there is something for everyone and in any price range. To make it easier, I will break it down for you from more expensive stores to more affordable options. Aeropostale: You can get $10 off $50 or more or $25 off $100 or more. Then on BTSS you get 30% off your purchase plus an exclusive gift! American Eagle: On BTSS you get $10 off a $50 purchase. 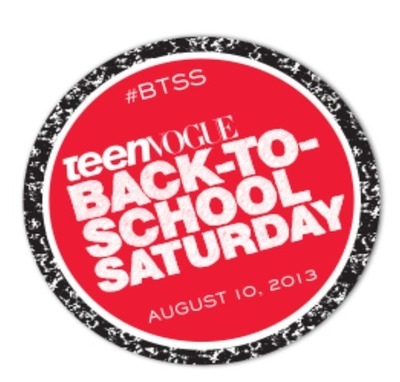 Burlington: WHen you make a purchase at Burlington of $25 or more you can get a free Teen Vogue tote bag and pen! Express: Get $15 off a purchase of $30 or more. H&M: Get a student discount of 15% off! Macy's: You can get an extra 20% regular priced items as well as 15% off sale items. Pacsun: Pacsun is giving you $15 towards your purchase on BTSS. It doesn't say a minimum purchase which is awesome! AG: Receive 10% off their fall collection. ASOS: Get a coupon code for 10% off. Big Star: On BTSS get 10% off your purchase. Collection B: Receive 25% off your purchase plus free shipping! Garage: Get 20% off on BTSS. Juicy Couture: Get 20% off at Juicy Couture and on BTSS get $25 off a purchase of $75. Kate Spade: Score 15% off your purchase! LeSportsac: Get 20% on BTSS. Miss Me: Get a new pair of jeans with 20% off your purchase. Nasty Gal: Get 10% off your purchase online. Topshop: Score 20% off your purchase on BTSS. Vans: When you spend $50 on BTSS get $20 off your next purchase. There are ALL of the amazing deals that are going on on BTSS but also some you can take advantage of right now. Be sure to download the Teen Vogue Insider app to get full details on how you can take advantage of all of these deals. 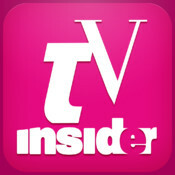 Be sure to upload the Teen Vogue Insider app!